Mr. Durkin organized the startup of Northern Shipping Funds in 2008 and its predecessor NFC in 1999. Concurrently with his position at NFC, Mr. Durkin was CFO of Northern Navigation International Ltd (a founder/sponsor of NFC). 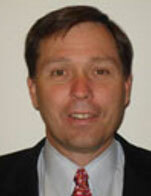 From 1987-1997, Mr. Durkin held senior positions at United Waste Management, Inc. and Ernst and Young. Mr. Durkin has a BS in Accounting from Villanova University.